Until now, the considerable charms of V-Class bracing have been reserved for Taylor’s Grand Auditorium models. 2019 sees the company launch a new body shape featuring the game-changing architecture on the inside, along with a tone and aesthetic designed to break new ground for the brand. As radical departures go, Grand Paciic is unlikely to trump the launch of V-Class itself, largely because this was the most radical rethink in lat-top acoustic bracing since CF Martin became the irst X-Man. 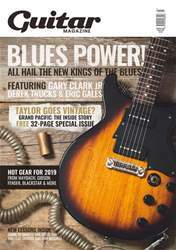 However, the new Grand Paciic body style is a very signiicant move for Taylor, and is likely to widen the company’s appeal to include more vintage-minded guitar players. A slope-shouldered dreadnought in essence, the Grand Paciic outline is a far cry from the modern utilitarianism we’ve come to associate with Taylor, and it feels as comfy and familiar as it looks. However, as we’re about to discover, each of the trio of Grand Paciic models on test offers something very new, in a seemingly traditional package. 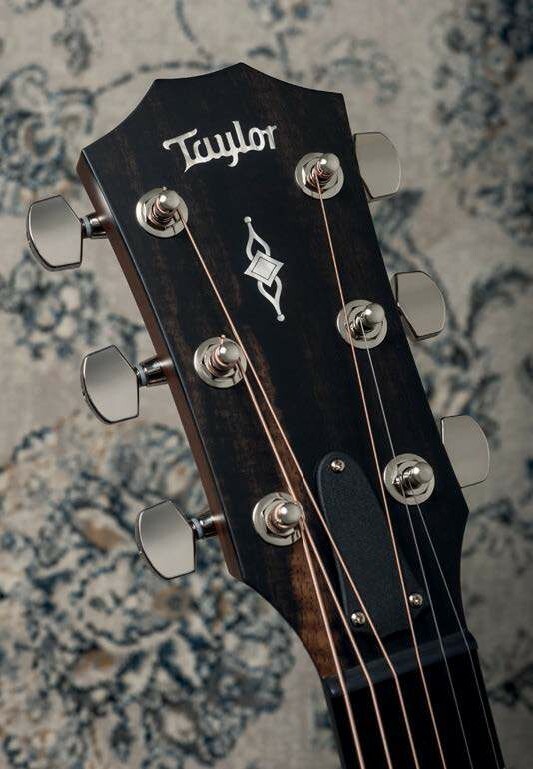 All three guitars are itted with nickel-plated die-cast tuners and Taylor’s Expression System 2 electronics. 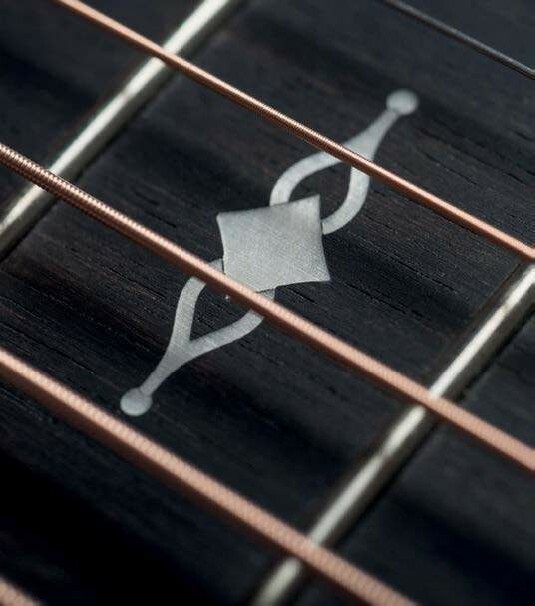 They come in deluxe hard-shell cases and have been strung with medium Elixir Phosphor Bronze strings. The 317e may be the entry-level version here, but there’s nothing conspicuously downmarket about it. 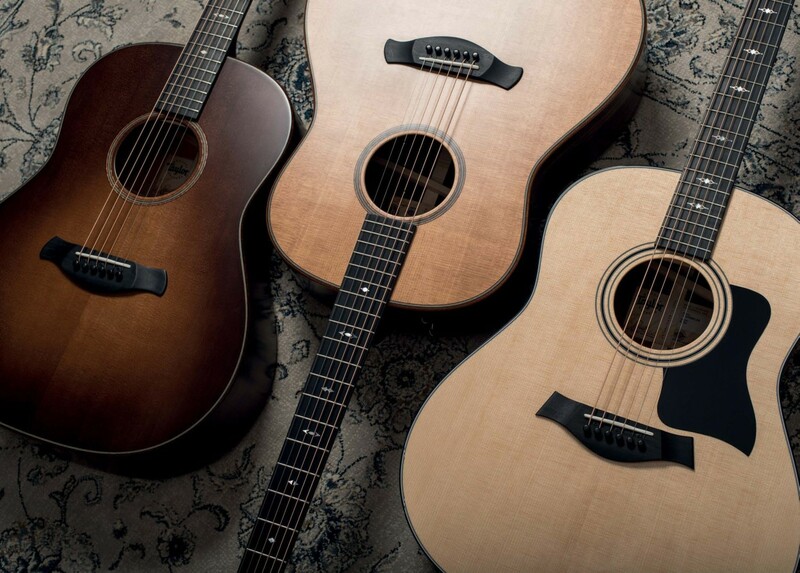 Despite the new outline and its internal architecture, in outward appearance, it’s a fairly regulation Taylor 300 Series instrument: a perfect gloss inish protects the pale Sitka spruce top, with satin on the sapele back, sides and mahogany neck.